MegaCon is a pretty major convention in the central Florida area. It’s been around for years, and since 2005 it’s been sponsored by Coliseum of Comics. However, despite the comics sponsorship, MegaCon caters to sci-fi, fantasy, horror, and anime fans, as well as comic book fans. I actually attended this convention three or four years in a row (but haven’t been for almost as many). MegaCon is a medium to large sized convention, dwarfed by the likes of PAX or Dragon*con, but significantly larger than many of the smaller conventions also existing in the central Florida area. 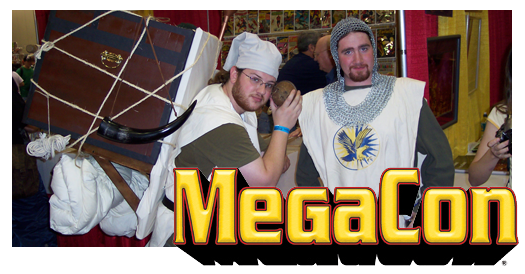 For 2010, MegaCon is being held March 12th – 14th, 2010 at the Orange County Convention Center Hall D in Orlando, Florida (USA).